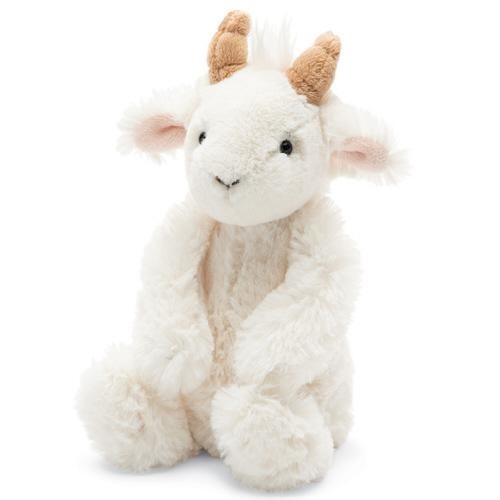 Jellycat Medium Bashful Goat - Grow Children's Boutique Ltd.
Who’s that trundling over the bridge? 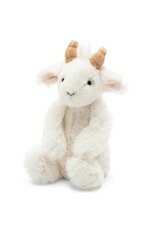 Bold adventurer Bashful Goat isn’t scared of any trolls! 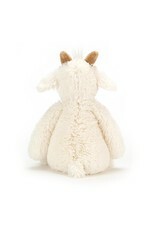 Besides, the last troll he met saw his soft white fur and squishy little horns and just gave him a great big cuddle! And his hooves are so soft he doesn’t go trip-trap at all, just ‘la la la’ with a merry song!